The picture-perfect beaches of Mexico’s Caribbean coast cannot fail to impress with expansive stretches of powdery white sand lapped by turquoise waters. Add some of the best snorkelling and diving in the world, a pumping nightlife and rich cultural heritage and we think you’ll agree that Mexico has it all. Oozing with holiday atmosphere Cancun is pure fun in the sun, while spectacular Riviera Maya offers a slice of Mexican heritage as well as silky sands and crystalline waters. Once just a small fishing town, Cancun, today is a huge resort comprised of a downtown area with its markets and local cantinas and then, the Hotel Zone that has restaurants, shopping malls, nightclubs and an extra-long stretch of beach. 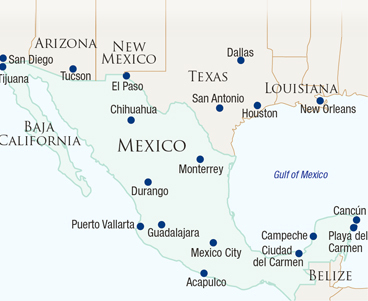 This shining international destination is very much the pleasure city of Mexico, with an intoxicating atmosphere. Just south of Cancun extending along the Caribbean coast of Mexico’s Yucatan Peninsula is the beautiful Riviera Maya, which is perfect if you’re looking to escape the crowds. 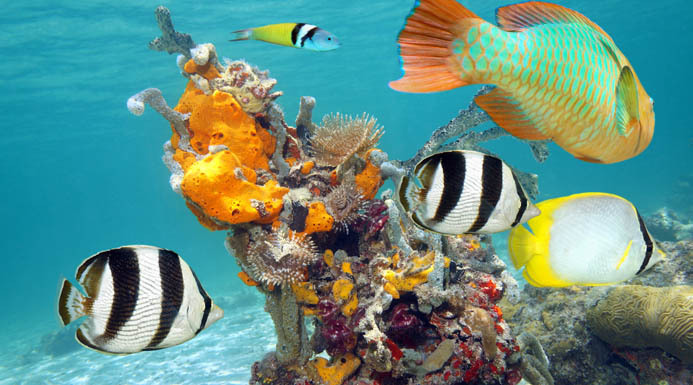 Home to some of the most stunningly beautiful beaches in all of Mexico the Riviera Maya is also renowned for the many natural attractions in the area, including the rich, colourful coral reefs which are a haven for snorkellers and scuba divers alike. You’ll also find amazing cenotes (natural sinkholes) and subterranean rivers found nowhere else in the world. If you can tear yourself away from the sand and sea, you’ll find many more activities such as thrilling jungle tours, fantastic golf courses, cycling and hiking the virgin natural reserves or even zip lining through them, which will certainly thrill most adventurers and extreme sports enthusiasts. 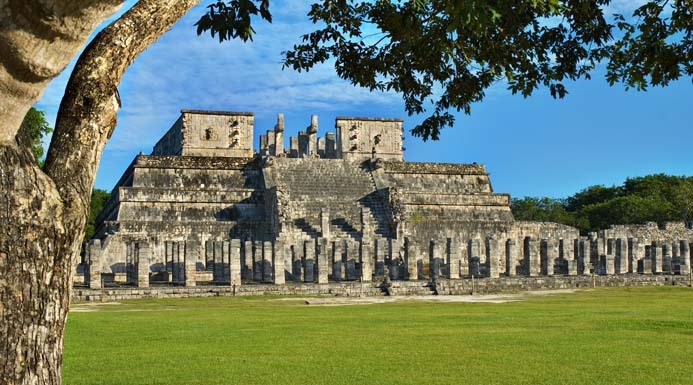 Perhaps no visit to this region would be complete without immersing yourself in the mystical Mayan culture through a visit to nearby Mayan ruins, such as Tulum, Coba, Uxmal and, of course, the world-renowned Chichen Itza. Of course, another of the great joys of visiting Mexico is its cuisine. Emulated around the world, its crispy tacos, zesty salsas and tasty tortillas, burritos and fajitas are amongst the mouth-watering specialities on offer. They’re best washed down with one of Mexico’s great beers or perhaps a shot of tequila. 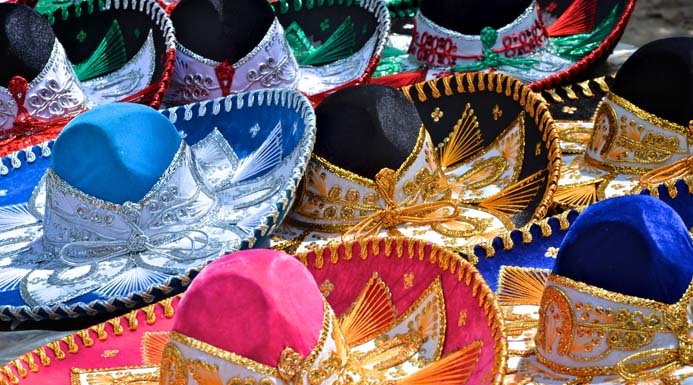 Our vastly experienced travel advisors are passionate about Mexico. With first-hand knowledge of when and where to go they can create the perfect holiday experience for you, at the best possible price. Flight duration: The flying time from the UK to Cancun is about 11 1/2 hours. 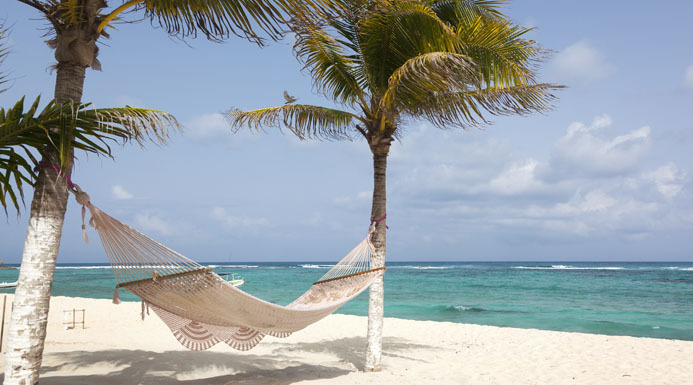 Best time to travel: Mexico�s Caribbean coast enjoys tropical temperatures throughout the year. In summer months expect highs of up to 35�C, while in the winter it rarely dips below 20�C. The rainy season is from May to October, however, it rarely rains all day and hurricane season is September to October, but they are very rare. Local time: GMT -5 hours.